Home of the Scranton/Wilkes-Barre Yankees of the Triple-A International League. 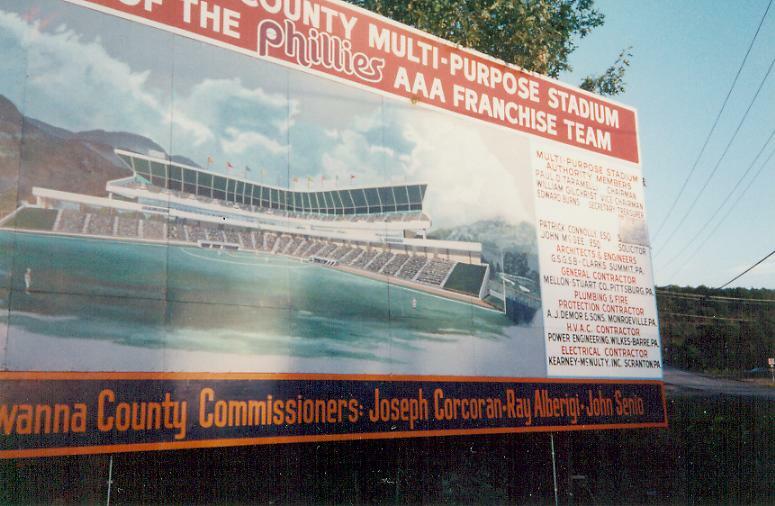 Originally named Lackawanna County Stadium, renamed for the 2007 season. Use your browser's Back button to return to this menu from a displayed photo. Public works sign outside the stadiun. A two lane road is the only way in or out. 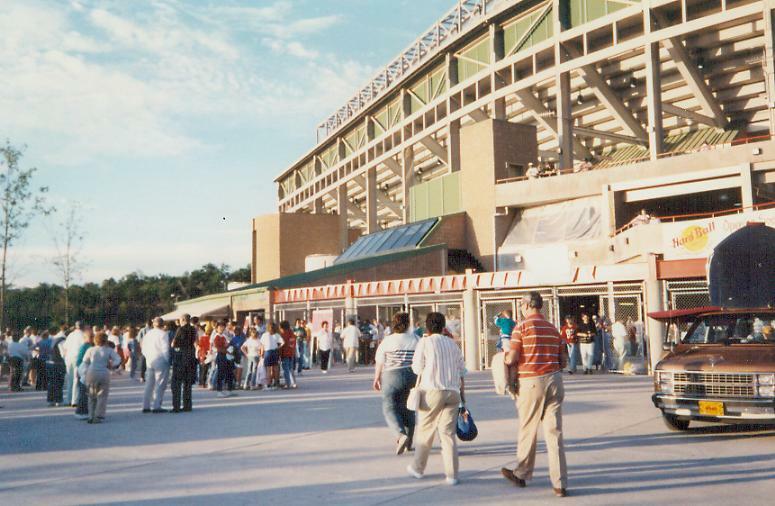 Right side of the stadium. 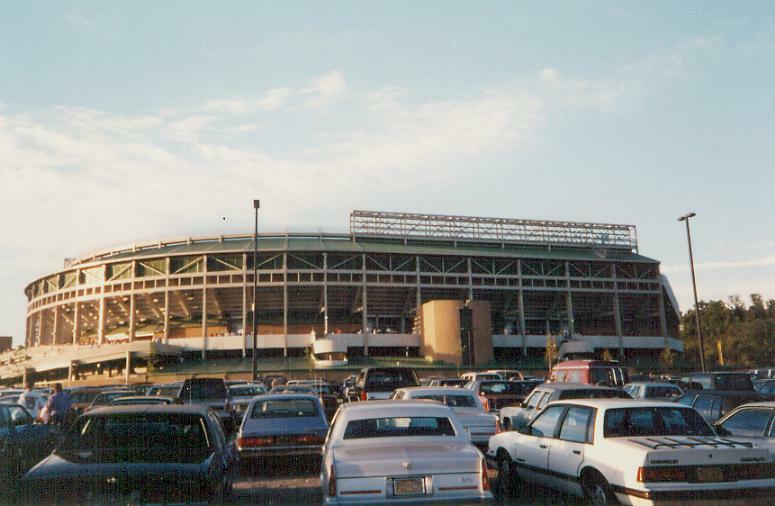 Left side of the stadium. Seating behind & under the screen. A two-level party deck is under construction. The home team bullpen is directly underneath. A picnic area is located in right field. The visitor's bullpen is directly underneath. 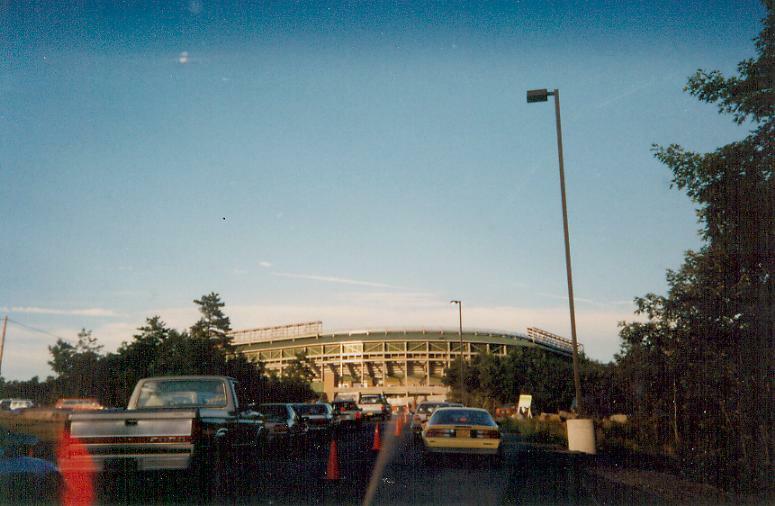 The stadium from the right field picnic area. The upper deck is quite steep! 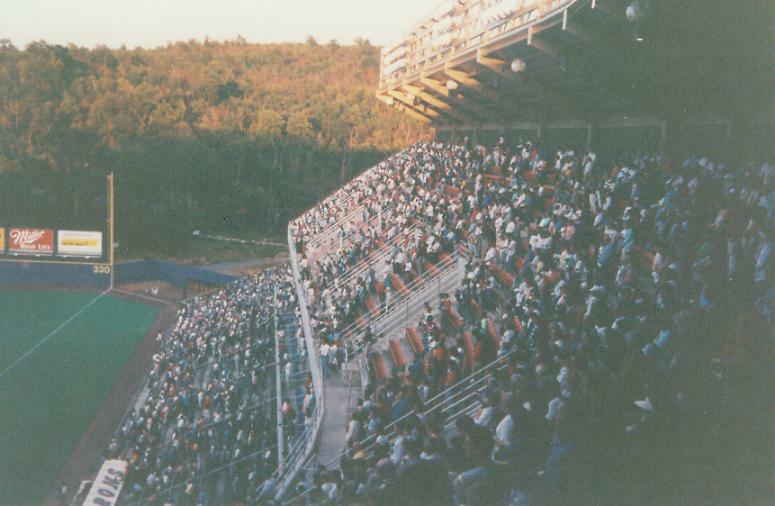 The playing field from the upper deck. Besides a ramp, there are stairs between the levels. 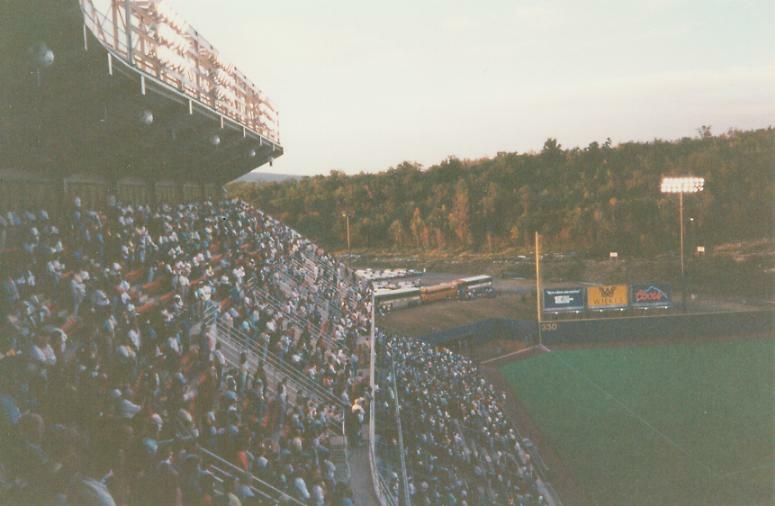 Lackawanna County Stadium from above right field. Union Pacific #4012 locomotive & tender at the Steamtown National Historic Site. Steamtown National Historic Site website.